Dr. Nassif is an orthopedic surgeon specializing in the treatment of degenerative and inflammatory hip and knee conditions. Dr. Nassif’s areas of expertise include knees, hips, minimally invasive joint replacement surgeries, and joint replacements, anterior approach total hip replacement and revision total hip and total knee replacements. He has special interest in the use of less invasive surgical approaches and new surgical implant technology. Dr. Nassif earned his bachelor’s degree from the University of California, Irvine in biology and physics. He earned his medical degree from Harvard Medical School where he graduated with Honors. Dr. Nassif has been active in education and research in joint replacement surgery. He has authored multiple book chapters as well as presented at many regional, national, and international meetings. 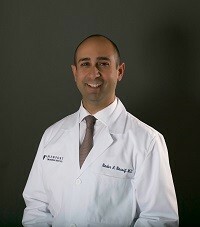 He is co-program director of the joint replacement fellowship at Hoag Orthopedic Institute. In his free time, he enjoys spending time with his wife and 2 children, cycling and running. He has completed 3 marathons and 2 half marathons. Rachel Zamolo is a happily married wife to her supportive husband, Steve, and a loving mother to her beautiful teenage daughter, Hayley. After a successful career, first in medical sales and then in commercial property management, Rachel ran into a sudden roadblock. Six years ago, Rachel had a sudden onset of asthma, rhinitis, sinusitis, daily exhaustion, joint aches, Raynauds Phenomenon, persistent daily cough, multiple episodes of hives from various classes of antibiotics and needed to undergo necessary sinus surgery. For the next eight months, Rachel tirelessly visited multiple medical specialists until August of 2012 when she met Dr. Lisa Majlessi, a brilliant Rheumatologist. After findings of nodules on Rachel’s lungs in a CT scan, Rachel was diagnosed with Eosinophelic Granuloomatosis with Polyangiitis (EGPA). 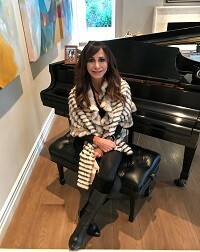 EPGA also known as “Churg Strauss Syndrome” is a rare autoimmune disease affecting only one per 100,000 people and in Rachel’s case was treated with a daily dose of steroids. In December of 2015, a week before her 45th birthday, Rachel awoke one morning and felt numbness and tingling throughout her body. After countless MRIs, EMGs, and highly abnormal results from spinal tap, Rachel was given IV steroids and a course of IVIG (intravenous gammoglobulin) in the hospital. Dr Tahseen Mozaffar, chief of Neurology at UCI made the diagnosis of Sensory Ganglionopothy. Although Rachel is struggling with having complete sensory loss in her upper extremities and needs help to complete activities of daily living, she remains positive and hopeful for the future. Rachel’s support systems including her family, close relatives and friends have been by her side throughout this life-changing journey. She hopes that medical research will find a cure to treat her and others affected by various forms of arthritis in the near future. Gavin’s journey with arthritis began when he was only three-years-old in April 2010 when he started limping while playing tee ball. His limp became a constant skip when walking or running to avoid fully using his left leg. Six months later, after several visits to the pediatrician, Gavin was left in constant pain and an unsure diagnosis. Gavin’s parents began to feel helpless. In October 2010, during a checkup appointment his mother had with her OB-GYN after the birth of her second child. The doctor could tell that Gavin was in pain. At the end of her appointment, Dr. Sanchez walked them to an orthopedic colleague of his on the second floor. It was at that moment when Gavin’s diagnosis transpired. 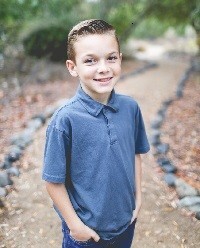 Gavin was eventually treated and formally diagnosed at CHOC by Pediatric Rheumatologist, Dr. Boone, with Polyarticular Juvenile Rheumatoid Arthritis, that affected his lower joints. He started taking methotrexate and had several joint injections to help reduce swelling, as well as physical and aquatic therapy twice a week to help with the severe stiffness in his ankles and knees. To support Gavin or join his team, please click here!